MILAN (Bloomberg) -- Fiat is considering selling about 1.5 billion euros ($2.05 billion) in mandatory convertible bonds to cut debt following its merger with Chrysler Group, two people familiar with the matter said. The Italian carmaker, which bought the remaining Chrysler stake last month, is talking to banks about issuing a bond that would convert into shares of Fiat Chrysler Automobiles, the company being formed by the combination, said the people, who asked not to be identified discussing private matters. The discussions are at a preliminary stage, with Fiat aiming to make a decision on whether to proceed in the first half, the people said. Fiat is also looking at other options to strengthen its balance sheet, they said. Fiat declined to comment on the manufacturer's financing. Fiat, which won't pay a dividend to maintain liquidity after the $4.35 billion deal to buy the rest of Chrysler, is weighing how to boost funding without resorting to a capital increase, CEO Sergio Marchionne said last month. The group has several alternatives, including issuing mandatory convertible bonds and selling assets, he said. "The most likely option is a mandatory convertible; that has the advantage of being issued at a premium to the share price," Massimo Vecchio, an analyst with Mediobanca in Milan, wrote in a note to clients on Wednesday. "However, the group has several funding options," including selling a holding in Ferrari or Maserati, he said. The shares declined as much as 25 cents, or 3.2 percent, to 7.49 euros and were down 2.1 percent as of 3:15 p.m. in Milan trading. The stock has gained 84 percent in the last year, valuing the Italian manufacturer at 9.48 billion euros. Marchionne, who plans to list the combined company in New York later this year, is seeking to transform the two regional players into a manufacturer with the scale to challenge the likes of General Motors Co. and Volkswagen in global sales. Fiat forecasts net industrial debt will rise to as much as 10.3 billion euros at the end of 2014 from 6.6 billion euros in 2013. The carmaker two weeks ago said that its "capital resources are more than adequate to meet the project funding requirements" for this year. The Italian carmaker last month cut its profit forecast for 2014 after posting fourth-quarter results that missed estimates. Fiat said 2014 trading profit will be 3.6 billion euros to 4 billion euros, lowering a goal set in 2012 for profit this year of 4.7 billion euros to 5.2 billion euros. 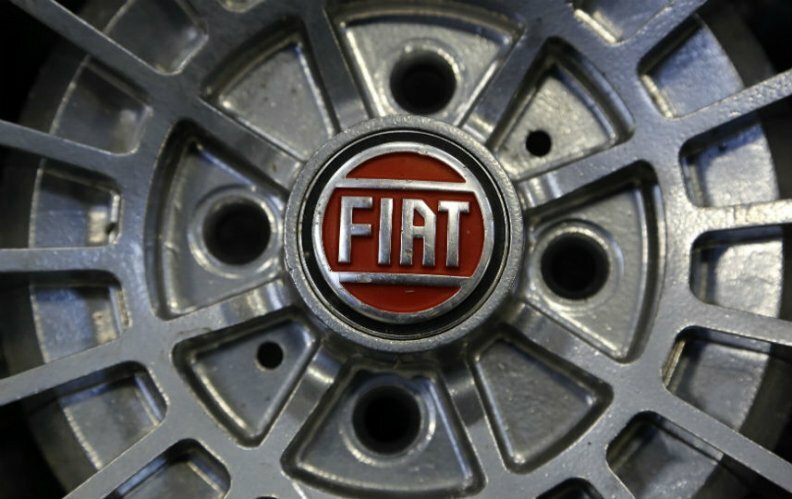 Fiat will present a three-year business plan in May outlining spending of as much as 9 billion euros to end losses in Europe with the introduction of upscale models, as well as to fund an expansion in Asia, people familiar with the matter said in December.